The major active constituents of ginseng are ginsenosides, and Rg1 is a predominant compound of the total extract. Recent studies have demonstrated that Rg1 can promote angiogenesis in vivo and in vitro. In this study, we used a DNA microarray technology to elucidate the mechanisms of action of Rg1. We report that Rg1 induces the proliferation of HUVECs, monitored using [3H]-thymidine incorporation and Trypan blue exclusion assays. Furthermore, Rg1 (150–600 nM) also showed an enhanced tube forming inducing effect on the HUVEC. 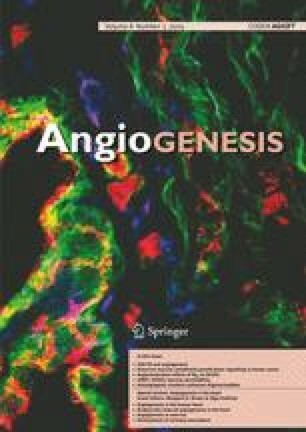 Rg1 was also demonstrated to promote angiogenesis in an in vivo Matrigel plug assay, and increase endothelial sprouting in the ex vivo rat aorta ring assay. Differential gene expression profile of HUVEC following treatment with Rg1 revealed the expression of genes related to cell adhesion, migration and cytoskeleton, including RhoA, RhoB, IQGAP1, CALM2, Vav2 and LAMA4. Our results suggest that Rg1 can promote angiogenesis in multiple models, and this effect is partly due to the modulation of genes that are involved in the cytoskeletal dynamics, cell–cell adhesion and migration. W wish to thank Dr. Shiladitya Sengupta, Biological Engineering Division, Massachusetts Institute of Technology, Cambridge, United Kingdom, for the valuable comments on this manuscript. We also thank Mr. Micheal Tsang and Miss. Emily Leung for their help in the proliferation assay. We are very grateful for the technical assistance in histological staining of Mr. Victor Ma and Mr. Cadmon Lim, Department of Clinical Oncology, Queen Elizabeth Hospital, HK. We also thank Mr. Kevin Kok and Miss. Fiona Luong for their help on Matrigel plug assay. We thank Dr. Simon Lee, Department of biochemistry, Chinese University of Hong Kong, for sharing experience on microarray data analysis. This work was supported by the Earmark Research grants (HKBU 2001/99M, HKBU 2171/03M) of the Research Grant Committee, Hong Kong SAR Government; Faculty Research Grant of the Hong Kong Baptist University (FRG/01-02/I-05).